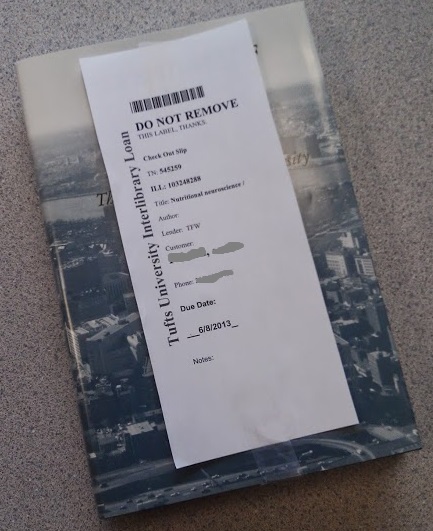 Currently viewing the tag: "credit card"
Wondering About Interlibrary Loan Fees? Read More! 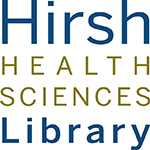 Need to request a book, journal article, or other item not at Hirsh? Our Head of Interlibrary Loan, Judy Rabinowitz, answers your questions about fees and charges below. 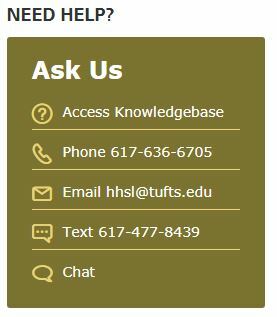 Faculty and staff in the Tufts community are charged $4 per request (e.g., journal article, book, etc.) for items in the Hirsh Health Sciences Library collection or from a library outside of Tufts. Students are allotted 20 free requests per academic year. That depends. If there is a charge for your ILLiad request, you will receive an email in the month following the completion of your request with the invoice attached. Alternatively, if debiting a Tufts deptID, you can setup automatic payments and receive no invoices directly. How do I pay these invoices? How do I pay using a Tufts DeptID? Log into ILLiad and add the Tufts DeptID and account number information in the ‘Payment and Profile’ section. Then, when completing an ILLiad request form, select the account, and payment will automatically be made for that request and you will not receive an invoice soliciting payment. How can I find out more about ILLiad? Check out Document Delivery Policies and Procedures.